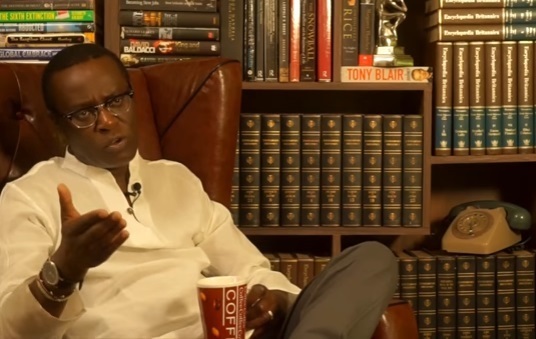 Monday September 3, 2018 - Controversial Political Analyst, Mutahi Ngunyi, has urged the Director of Public Prosecution (DPP) Noordin Haji to train his eyes on Chief Justice (CJ) David Maraga saying the CJ is as guilty as his Deputy, Philomena Mwilu, who was arrested last week and arraigned in court over corruption. Speaking on his channel, The Fifth Estate, Mutahi indicated that it’s high time that the Judiciary gets "revisited" sooner than later. He termed the Judiciary as a corruption swamp that needs to be drained. “The public needs answers,” Ngunyi said. Secondly, the DPP should investigate whether there was contact between the Opposition (NASA) and SCOK during the 2017 General Elections which could have influenced the election nullification. And lastly, the DPP should investigate whether CJ Maraga's trip to Lithuania on September 1st, 2017 was on the influence of Hungarian-American political activist and business magnate, George Soros, given that Lithuania has no strong diplomatic links with the Judiciary.